Pat has been conducting first-hand research on industrial relations in Guangdong’s auto parts sector since 2016. Gavin and Ren interviewed her in 2017. They revised and edited the following text in 2018 for Chuang. The forthcoming second issue of the Chuang journal will include a translated worker’s narrative from a strike in a Guangdong auto parts plant and an analysis that draws on this interview. Compared with other manufacture in Guangdong Province’s Pearl River Delta (PRD), profit margins in car production are high. This underscores certain excitement about the power of workers in the industry to disrupt capital flows. In 2010, across all four of Honda’s auto parts plants in China, thousands of workers won substantial wage increases through weeks of direct action. The regional ripple effects of their actions were significant. That period of struggle challenged the ways that people thought about struggles in China, understood their potential and imagined their successes. Hundreds of young activists from throughout China were inspired to go get jobs in the PRD’s factories. Now nearly a decade after the strike wave, this interview puts that period of struggle in context and draws on conversations with workers in auto parts factories to explain the situation today. Many observers have considered 2010 a turning point, where workers moved from ‘defensive’ to ‘offensive’ actions, ‘proactively’ demanding more than the law provided rather than ‘reactively’ demanding that bosses simply adhere to the standards of Chinese Labor Law. To some, the Honda strikes represented the birth of a long-awaited militant Chinese labor movement, emerging from years of formation of the world’s largest industrial workforce. Moreover, to such observers, the iconic conflict with the union represented a possibility of ‘authentic’ and ‘independent’ trade unionism, either through workers’ own networks or through some set of reforms shaken from local government and the official union federation. This interview sheds light on recuperative ACFTU reform in the years following the strikes at Honda, which has sought to prevent labor conflicts by expanding operations into quasi-NGO-style service provision. In this interview, Pat offers a perspective on the problems that people working in parts factories encounter and how they deal with them. The years that followed the 2010 wave of action left a trail of crushed hopes for greater labor reforms. Another small-scale strike occurred at Honda’s Nanhai factory in 2013. A handful of workers struck for a better wage deal than the union-led negotiation was offering, but their actions did not spread across the factory. In 2015, workers at the factory sought minor reforms to the union and became frustrated with its bureaucratic elections and regular bargaining. While the system formalized regular wage increases for workers, still, wage gains were eaten up by the rapidly rising cost of living in the city. Eight years after the strike wave, many of that era’s visions for the future have been foreclosed. Perhaps in hindsight some of these expectations were ill founded from the start. In the years following the strikes, hopes for reform were either roundly rejected by capital, fearing the real threat on their profit margins, or adopted only after various measures were gutted to appease business concerns. The Regulations on the Democratic Management of Enterprises (企业民主管理条例) drafts failed to make it past the Guangdong government’s policy table in 2010, while the Regulation on Collective Negotiation and Collective Contract of Enterprises (draft) (企业集体协商及集体合同条例（修订草案稿) was passed into law in the Spring of 2014 after key proposed measures were struck out. Foreign capital, in particular Taiwanese and Hong Kong enterprises with large investments in PRD manufacturing, lobbied effectively against the laws. Unlike other sectors, automobile manufacture requires greater amounts of fixed capital, training infrastructure and a closely located supply chain. Although factory relocation is an increasingly recognized phenomenon in other manufacture industries, such as textiles and electronics, it is not so clear that this is occurring in either auto parts or assembly. The PRD government is invested in keeping car manufacture in the region while moving away from cheaper, more polluting, low-end manufacture with less propensity to automate and higher dependency on low wages. As 2016 drew to a close, the focus of workers’ struggles appeared to shift to the longstanding, divisive strategy of maintaining a dual workforce in automobile manufacture. Over a thousand long-term workers hired on temp contracts at FAW-VW’s Changchun assembly plant in Jilin Province (in Northeastern China) began a period of protest for equal pay. Putting aspects of the 2013 Labor Law Amendment on temp work to the test, workers demanded better contracts and compensation for years of unequal pay for equal work. In auto parts factories too, as we discuss in this interview, it is still very common to hire many of their employees via labor hire (“temp” or “dispatch”) agencies. Workers in parts factories primarily resist poor work conditions by leaving their jobs. Labor turnover is quick and continuous. Coinciding with arguments concerning a labor shortage in the PRD, such signals feature in the interview below. Workers are able to quit and find new jobs seemingly without major difficulty. Bosses complain that it’s hard to find workers, and in at least one case mentioned below have used conversion to ‘regular’ contracts (i.e. permanent contracts with the enterprise) as a strategy to penalize workers if they quit (rather than raising their pay to incentivize them to stay). Workers, on the other hand, are caught between struggling collectively on the job for tangible improvements and social pressure that treats the inability to ‘succeed’ through one’s own individual effort as a moral failure. Reflecting on conversations with such workers, we cannot dismiss the logic that leads many to draw connections between rising sector revenue and optimism about their own working conditions. Even as the memory of ‘offensive’ struggles fades, the conditions for a reemergence of conflict continue. Ren & Gavin: How central is car manufacturing to the Chinese economy? Pat: The auto industry is definitely not the biggest sector in the nation, but China has probably the biggest market share of cars globally. In the manufacturing sector, it is one of the few industries that has continued growing in terms of revenue and market share. From the view of business, China is still a very lucrative market for cars regardless of the falling growth in GDP. Even if GDP is falling, it is still growing at six-point-something, much higher than most developed countries. Not only does the entire production process take place in China, but also the car industry receives a lot of attention and support from the central government. We could almost go so far as to say that it is not an industry likely to fall because it is so closely connected with the profits of the SOEs [state-owned enterprises]. The development of the auto industry in China started relatively recently. Compared with other industries it has really boomed only in the past ten years. I don’t mean that there was no auto industry before that, but when we talk about the industry in the past it is impossible not to talk about the big SOEs. RaG: What were the major shifts that the industry underwent in the second half of the 20th century? 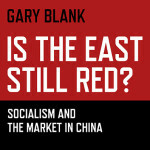 Pat: Car manufacture has been a strategic sector for the Central Government since probably as early as 1949, but back in its infancy, globally speaking, it was still a very backward industry – low productivity, low quality, and at that time the Chinese domestic market couldn’t consume many cars. The major state-owned car-making enterprises used to be called First Auto, Second Auto, etc. (一汽、二汽). Now they’re called FAW (一汽), Dongfeng (东风), SAIC (上汽) and Chang’an (长安). Basically, starting from the mid-90s the Central Government started encouraging foreign direct investment in the industry, but without allowing foreign capital to set up its own factories in China. Instead, it is compulsory to set up joint ventures with one of the domestic carmakers in order to start producing here. Now all of the major car brands in the world have already set up operations in China. Volkswagen, GM, Toyota, Ford, Nissan. Most foreign carmakers set up operations here to cater to the Chinese domestic market. Not many foreign carmakers set up plants in China to produce for export. There is a Honda plant in Guangdong producing cars just for export, but it is definitely an uncommon case. RaG: So far we’ve been talking about automobile companies, how about the auto parts industry specifically? P: In China, the production of auto parts has developed around car assembly plants. In Guangzhou, for example, the biggest assembly plants are Japanese. These are Nissan in Huadu, Honda in Huangpu, and Toyota in Nansha. So they’re in three different districts of Guangzhou and they have first-tier parts suppliers built around them, with lower-tiered suppliers scattered across the province. Toyota started assembling cars in Nansha about ten years ago in a joint venture with Guangzhou Automobile Industry Group – GAIC (广汽). The parts factories surrounding the Toyota assembly plants are all partners that Toyota developed in Japan. When Toyota Japan decided to start a factory in Guangzhou, they actually told their suppliers: ‘it’s a condition that you come with me to China, otherwise your orders in Japan might not be fulfilled’. So, especially for Japanese car parts makers there’s a very close relationship between the assembly plants and the parts manufacture. Toyota has a significant share in each of these parts companies. The managers call them qinshengzi (亲生子)—your child by birth. This is the Japanese case, but for German and American companies this is not the way they normally think about the supply chain. They source parts from different companies. In other countries, like Germany for example, the parts companies actually control the core technology. This brings them more bargaining power. But in China, the parts companies are actually very dependent on the assembly plants. RaG: In the Honda strikes in 2010, workers held a strong position because they could bring the entire gearbox [transmission] production process to a stop by downing their tools in one part of it. How does this vary between companies, production tiers and across the industry? What’s the relationship between parts producers and assembly lines? So, some first tier companies say that they are theoretically not allowed to transact with other car making companies, and also some of them say they are just too busy producing orders for this or that particular assembly plant, so they don’t have the capacity or the need to produce for export. This is not necessarily the case for the second and third tiers. Because the orders they receive are less secure than the first tier ones, the second and third tiers often supply to a mix of companies. RaG: The image that comes up is that you have assembly plants and parts plants together in close geographical-industrial clusters. You have a plant with suppliers around it. There’s a kind of interesting social/factory question here, the space of the city being shaped by the factories. In the spaces you’ve been looking at, do workers socially differentiate themselves as well? P: The pay levels definitely differentiate between the lifestyles of workers in assembly plants and those in parts factories. The base wage for an entry-level assembly worker can be as much as the total wage of an auto parts worker. That makes a great difference. As for where people live, this varies and probably depends on location as well. Factories are sometimes in the middle of nowhere, in which cases they usually provide dormitories. In those I know about, most of the time the dorm is free. Factories charge workers for water and electricity. In the Guangzhou area, it is not common to have dormitories within the factory area. The companies either don’t provide accommodation at all, or the factory might rent stories in nearby apartment buildings. You can see some urban areas where workers from certain factories dominate certain apartment blocks. For factories that don’t provide dormitories on site, they usually take workers to work from a certain spot in town by coach — and then take them back after the shift. So even if you go to factory gates now, you can’t really see many workers. If you want to meet workers you have to meet them at their residential areas. RaG: How does hiring and workforce composition differ between auto assembly plants and parts factories? P: For assembly line workers, the workforce is young because they recruit directly from technical schools and universities. It’s also predominantly male. Given the level of automation, a lot of physical work on the production line is still required. Apparently they won’t hire a forty-year-old for production line work. It is the same in many industries: they think that older workers are more difficult to manage than fresh graduates. For assembly plants, they prefer younger workers who hope to climb a career ladder within the factory. It doesn’t matter whether this can actually be achieved. For parts plants it is more diverse. The age range for workers appears to be wider. In some parts factories there is a more balanced gender mix. This depends on the nature of the job, the size and weight of the product, and the physical labor required to make it. I’ve heard that some assembly plants prefer to hire local people, but what I think really happens is that they usually hire from specific technical schools. I asked a guy from Guangzhou who works in a parts factory there, and he said that the factories used to prefer local workers but it doesn’t seem to be an advantage anymore. I think assembly plants might prefer local people because of their stability and eagerness to progress in the career ladder, but for auto parts I don’t think these things are big concerns. RaG: There is a perspective that says, “We have seen a lot of strikes and wage rises in China and the response from capital has been to automate or to relocate factories either inland or overseas.” Is this accurate for the auto industry and/or what else is happening? P: You certainly don’t hear about assembly plants closing as much as you hear of them opening or expanding. I don’t think that even with automation they will need fewer people. They just need different kinds of people than they did before. You mentioned the Honda strike in 2010 just before and I don’t want to play down its importance. It’s important and a great case of achieving a wage increase, and it was influential for other factories. At the same time, there was a lot of other stuff happening, such as the alleged labor shortage, especially in skilled labor and in the coastal areas. Many of the factories that I have talked to say that they have difficulties in recruiting people because of the labor shortage. 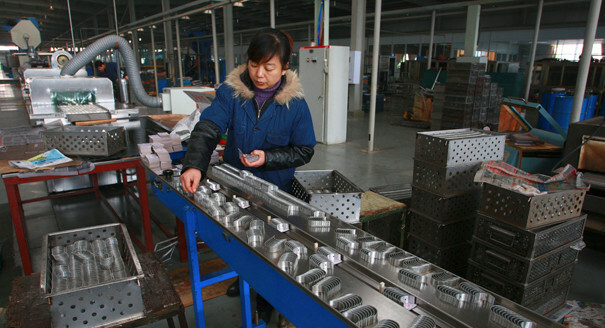 Many are not looking for skilled workers, but just for ordinary production line workers. Of course you have to take caution in interpreting what this actually means — is it that the labor supply is decreasing or that they remain very picky about workers? But at least that’s what they say. Relocation is not so apparent in auto parts. If anything, it’s more likely to be expansion, rather than relocation. I don’t think there is a very strong intention for auto parts plants to relocate abroad in general, not only because of their reliance on the geographical proximity to assembly plants, but also because the price of labor is still within their affordability. The assembly plants are already highly automated. According to engineers that I’ve talked to in the assembly plants, in China the plants meet global standards of automation. This is not necessarily so for the parts producers, it depends on the profit margin and the way the supply chain is organized. Their profit margin is not as high as that of their counterparts in the West. Automation is of course open to them, but it’s not necessary considering the cost. Paying manual labor is still cheaper, in their view. This is not to say that automation in other manufacturing sectors is not having an impact on the number of available jobs. There’s evidence to suggest that this is occurring, at least in some areas of the PRD like in Dongguan’s garment and LED industries. In some industries that I’ve heard of, those workers who manage to stay are highly skilled. There is an argument that as automation is introduced, the disparities between high and low skilled workers become more extreme. Factories need either very highly skilled people to maintain facilities or low-skilled workers to keep the machines running just by pressing a button or something like that. I haven’t seen this process playing out as yet in the auto parts factories I’ve been studying in the PRD, however. RaG: Do you hear this expressed in workers’ own accounts of their workplaces? How do they experience the division between high and low skilled jobs? P: Parts workers do contrast themselves with assembly plant workers. It is a commonly accepted fact that their pay will not catch up with or be comparable with that of assembly plants. There are different reasons for this view. One reason is that assembly plants hire workers directly from technical schools – the education and other requirements are apparently higher than those for parts plant workers. Of course not everyone has a college degree, but even for vocational secondary school (中专) graduates you have to come from certain schools to get into the plants. By contrast, it’s more common for parts manufacturers to do open recruitment. Technical jobs are often recruited directly on college campuses, whereas operators are more commonly recruited via agencies targeting the general public. So the qualifications for auto parts jobs are lower, and that’s what is seen to make the wage difference. RaG: How about the breakdown between people being paid according piece rates and those on time rates? Does that affect the experience of work? P: Both types exist in parts factories, and there are also sometimes mixed systems of wages based on a combination of piece and time rates. It really depends on the factory. Piece rates tend to accompany relatively loose management control on the shop floor. The management’s discourse is, ‘if you don’t mind working, you can earn a lot compared with workers in other industries’. In one example where piece wages were implemented, they didn’t really have that many senior workers and the work was relatively simple and routine. Piece rates are a way to keep workers moving in a general sense. You might need some people on quality check, but not people just to push the workers to work. As for time rates, it seems to me that managerial control of the shop floor is tighter [in such cases]. For example, there might be a designated time for breaks. In some factories they have CCTV systems to monitor workers. I haven’t seen things like this in piece-rate situations. Some factories also have a bonus system. The ways bonuses are calculated are generally very murky to workers. They are allegedly calculated on the basis of the profit margin of the factory, by a certain coefficient as a multiplier of their base wage, and also by seniority. RaG: In Italian factory struggles in the 1960s, one of the things that workers did was to share their wage slips, including the base rate, the variable components, and so on. These days, do PRD auto parts factory workers talk about their wages and Social Insurance payments? In other cases I know about not confined to the auto industry, workers were paid cash with a written breakdown in an envelope. Now there are more factories transferring pay directly to workers’ bank accounts, and then there is no pay slip. If you want to know about the breakdowns you have to go to your HR department and ask. In Volkswagen’s assembly plants they say you can only call a telephone recorded hotline to ask for your breakdown. So there is very little tangible statement or evidence for how much you are paid and your Social Insurance payments, even though most workers I talk to know about ‘the five types of Social Insurance and the Housing Fund’. The bosses say this is a way to prevent wage information from being circulated, as if it were ‘part of personal privacy’. I wonder when, in China, did the wage become a confidential thing? When does it become conceptualized as part of your personal privacy? In the socialist period, your wage scale was centrally planned and open to everyone. There’s some research on post-socialist Poland, which found that it took about ten years for people to stop circulating wage information. I wonder if it’s like that in China as well. 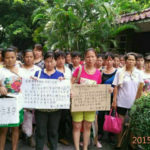 RaG: In 2013, conditions such as equal pay for workers contracted through labor hire agencies and limits on the use of agency workers were added to China’s Labor Contract Law. What bearing has this had on work in auto parts production? P: The Labor Contract Law, introduced in 2008, regulates employment relations. It stipulates how an employment relationship is established. It states that if you’ve signed a fixed-term contract with the same employer three times in a row, you’re fourth contract should be “non-fixed term” (无固定期合同). [This means that] if the employing unit unilaterally terminates the employment relationship, the employer has to pay economic compensation according to the law. So the Labor Contract Law actually justifies the use of agency workers. The 2013 amendment places some limitations on that practice. The proportion of agency workers in an enterprise is now supposed to be limited to 10%. In the past there were factories that hired 100% agency workers. Before the amendment, there were a lot of cases showing that the agency workers weren’t paid as much as regular workers. It was a big problem for agency workers because there was not a legal basis for them to ask for Social Insurance, occupational injury compensation and stuff like that from the enterprises they actually worked for. All they could do was to approach the agencies, which often were informally set up. It used to be a way for companies to lower labor costs because if they just used agency workers they could let the agencies take on all the responsibilities. So the amendment was supposed to make agency workers’ pay equal to that of regular workers and to constrain the use of agency workers in two ways: 1) to limit the proportion and 2) to limit the use of agency workers to three types of positions (三性岗位): temporary, substitutable and auxiliary ones. Theoretically, under the law now, a factory could not employ only agency workers. RaG: Has the use of agency workers changed in reality? P: A lot of the factories I see employ workers on agency contracts. I don’t know the legal grounds for that, but workers in a lot of factories, especially Japanese ones, say they are employed with agency contracts and can become converted to regular workers only after finishing this three-year agency contract. It certainly appears that agency workers are still widely used in the auto parts sector. RaG: Do agency workers actually ever get converted to regular contracts? Is temp work a common track to regular contracts? P: Workers often don’t stay beyond that period. Either the work is too hard, or they get sick, or they get tired of working in that factory. Let me share an interesting case that can tell us a lot about conversion to regular contracts. This particular factory has an annual staff turnover of over 50%, and the workers all know it. You’re considered a veteran there after a few months. So the HR people spend most of their time on hiring. They say they can’t hire good people easily because there’s a labor shortage. They use all sorts of methods to recruit. They recruit online, use job agencies, place ads outside the factories, etc. People hired through agencies sign contracts with the agencies. Workers hired directly are now on regular contracts. But the two types of contracts aren’t really very different at all. They pay the same, and the factory now has to be responsible for the Social Insurance of agency workers as well. When it makes a difference is when workers are thinking about leaving. January is a good time to leave the factory. People can come back and find a new job after Chinese New Year [in January or February]. In this case, many workers either had gotten an agency contract or a probation period of three months when they started, but in late November the factory converted them to regular workers, earlier than expected. This wasn’t really because the factory wanted to keep them on, but rather, it was to increase the cost to the workers if they were to resign. It takes just seven days for workers in agency contracts or probation periods to resign formally, but for regular workers they need to give a month’s notice in order to ensure that they get their final month’s pay. RaG: Did worker protests or mass incidents contribute to the government writing the amendment to the Labor Contract Law in 2013? P: I think worker unrest was certainly a big factor behind the introduction of the 2013 amendment. At that time, the government was pushing the idea of a ‘harmonious society’. That isn’t such a buzzword anymore, but at the time social unrest put great pressure on the government to do something. A common reason for collective actions such as strikes is the demand for severance pay and other forms of compensation. The 2013 amendment to the Labor Contract Law provided a legal foundation for workers to seek compensation. Before these changes in the law, bosses faced very low costs when firing workers. After the financial crisis in 2008 a lot of factories closed down, so many workers were laid off all of a sudden. When they came back from Chinese New Year the entire factory had disappeared, everything in it — gone! Employers could just fire workers without caring. It wasn’t just wage arrears; they would effectively just fire workers by disappearing the entire factory! The rules changed in 2008 with respect to compensation. Now they say that if a company terminates an employment relationship there should be one month’s notice, so bosses now face more costs when they fire workers. The legal requirement is called ‘N+1’, meaning that if a worker is laid off with one month’s notice, then compensation should be one month’s wage for each year of work plus one month. For example, the compensation for a worker with two years of seniority should be three months of their average monthly wage. However, in some strikes, workers have demanded double that (2N+1). RaG: How have workers in auto parts expressed dissent or demands in the past few years? Have these changes in the law made any difference? P: Workers in cases I know about have mainly resisted by quitting their jobs. No one mentions the Labor Contract Law on the shop floor. I have asked workers, ‘is the local minimum wage a meaningful tool to evaluate your wage?’ but very few know about it. For many it doesn’t really matter, because their own wage is higher than that. They know if something is illegal or unlawful, but they don’t know what the legal or lawful version of their scenario would be. For example, they know that the employer rejecting your resignation letter is unlawful, but they don’t know how it’s supposed to be done in a lawful way. RaG: After 2010, how did the wave of unrest at Honda affect other auto parts manufacturers or, more importantly, the hopes of workers at that time in the PRD? P: The Honda strikes had a demonstrated impact on parts manufacturers for quite a long while. 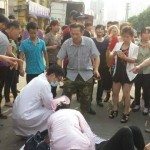 Shortly after the Honda strike there was a strike in another parts plant nearby, and then strikes became common for a while afterwards in Guangzhou’s parts factories, especially in Japanese ones. But these strikes should also be put in context of the development of collective negotiation in Guangdong after the Honda strike. This was an initiative driven by the provincial ACFTU [All-China Federation of Trade Unions], which covered collective wage negotiation and instruments to achieve incremental wage adjustment in the province. Sort of under a ‘strong man’ approach, collective wage negotiation and also enterprise-level unions were promoted in quite a lot of factories in Guangdong’s auto parts industry. The former vice-chairman [Kong Xianghong] of the provincial ACFTU branch actually played a very important role in pushing that agenda among plant-level union chairs. At least that’s what some say. When there are opportunities for collective wage negotiation, it is normal for them to have been preceded by, as well as followed by, wildcat strikes. They’re not very sustainable for pushing forward negotiation within the plant, and most are unreported, but they occur. RaG: These days do workers remember the strikes at Honda and other factories? P: It is hard to say. If workers now do remember it’s hard for us to talk about it. Sometimes there is no way to ask, and even if you do, they might not want to talk about it. Most workers who I have met haven’t been there long enough to know about the strikes. I’ve heard that, at the Honda assembly plants, some workers still talk about the strike and that some assembly plant workers actually disapproved of it because it interrupted production for about a week. Assembly workers’ interests are kind of disconnected from those of workers in parts plants. But the strike in Honda’s parts factories affected the production and income of assembly workers too. I’ve heard that in Guangzhou’s Honda plants they still do a few rounds of collective wage negotiation every year. The workers’ elected representatives don’t necessarily conduct these negotiations. The significance of the Honda strike is not just about the wage increase or the duration of the strike, but also that it triggered the election of new leaders for the plant-level union (工会改选). In the first few terms there were rank-and-file workers elected, but people say that after a while the union management were basically back in control of the union committees. Even if there is still wage negotiation at Honda’s plant in Nanhai, to what extent rank-and-file workers actually have a say in it remains in doubt. That said, factories with annual collective wage bargaining at the plant level are definitely not common in Nanhai where the Honda plant is located. People are like, ‘Oh, Honda negotiate for wages annually, that’s how they do it better’, but I don’t think many factories in the area follow suit. RaG: Some labor NGOs publically supported the Guangdong government’s experiment in direct elections for union officials at Honda. Do you identify links from crisis to strike wave to collective bargaining and NGO influence, to the crackdown on labor NGOs that came later in 2013? P: I think that the links you’re drawing are true, but I’ll expand on an issue that gets less attention: ACTFU reform. Logically, the development of NGOs doesn’t contradict the union’s development in providing collective bargaining. We can see that the union is trying to dilute the influence of NGOs by taking over their work and neutralizing it. 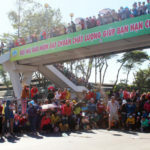 In 2014, there was a directive that trade unions should make closer connections to the rank and file workers, their communities and social organizations. From then, the unions started to divert or outsource their functions to provide services to workers. This happened at the plant level as well. They’re not doing that in a union branch form, but in a quasi-NGO form. The ACFTU is funding organizations to offer services to workers. They say it’s to prevent labor conflicts rather than intervening in them. Social organizations supported by the union are actually growing. RaG: What are the main challenges that workers’ self-organization faces in the auto industry right now? P: In the cases I know about, the first is the [employment] turnover rate. Because the general picture of the development in the auto industry is very optimistic in China for now (even if it doesn’t really translate into actual wage increases), workers still tend to be optimistic about progressing within the company. Of course, their assumption that company revenue will be linked to wage increases is another matter. But a lot of workers have quite high hopes for the development of the company and the industry. Put simply, more people are buying cars. Workers see their companies securing orders. Unless they see a big discrepancy between perceived revenue or prospects of the company and their own circumstances, the motivation to organize at their workplaces is not so strong. RaG: What aspects of the job do people dislike the most? How do people talk about their bosses? Are there other things that people get mad about? P: Of course it’s common that workers gossip about their bosses and invent funny names for them. Factories are often branches of bigger companies. As such you’ll have the general manager and department managers sent in from other sites. Workers often discuss how people from the company headquarters take charge of the factories and how the local clerical staff just sit around taking orders from the bosses. Shop floor workers criticize the office staff for acting like they’re superior when in reality they have no more influence in the company than the other workers. Canteen food is a focus of complaints. In some of the Japanese factories I’ve been to, there is often segregation between management and the workers. In cases where segregation is not so pronounced and workers see the managers every day, the difference comes at mealtime. At lunch there is better food on offer because the management eats lunch, but not dinner. The workers see a drastic difference in food quality between lunch and dinner. Naturally, people complain about and try to find ways to avoid tasks that are particularly annoying or labor-intensive. For example, no one wants to peel residual plastic off parts because the pay is too little and quality check is too harsh. Workers say that the wage you earn for doing that task for a whole day is roughly enough for a pack of cigarettes. In some factories there is no specific scheme for on-the-job training. The work that workers are assigned is not so-called skilled work, but it takes time to become familiar with how it is done and how to do it faster. For example, in some sections of the shop floor, there can be only new workers. A bunch of workers will have to sit together to experiment on the new components they are assigned to work on, with just one line leader walking around giving occasional guidance. People say things like, “Whenever I figure out how to do it fast, I’m assigned to a different task”. So when they say, “the more you work, the more you get paid”, you never manage to get to the position where you can take advantage of having learned. Workers have a lot of complaints on the shop floor, but for now, leaving and finding another job is still a viable option. This is another obstacle to worker organizing. I met an 18-year old guy who was saying he wanted to go backpacking. To hear that is pretty unusual. But what most of the workers share have in common is that they don’t expect to stay there long. Some plan to look for other work, while others want to go home and set up small businesses. Some people say that working in the factory is just a stage of life. They say you have to stop working in the factory at some stage in your life, and if you can’t stop, that’s considered a failure to save enough money to do something else. See the China News Weekly article (English translation) China’s Union facing reorganization because of labor disputes: some regions trial elections, June 2010. Also, Five years on, Nanhai Honda workers want more from their trade union from China Labor Bulletin, 2015. See “The Germans don’t care. 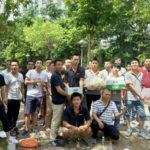 So it’s on us to fight!” and “Has the Workers’ Protest at FAW-VW Ended?” on Gongchao.org. This is discussed further in Lu Zhang, Inside China’s Automobile Factories: The Politics of Labor and Worker Resistance (Cambridge University Press, 2014). 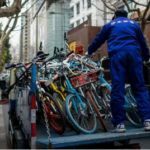 Also see ‘Zhang Lu on exploitation and workers’ struggle in China’s auto industry’ on Gongchao.org. On this, see Florian Butollo, ‘Moving Beyond Cheap Labor? Industrial and Social Upgrading in the Garment and LED Industries of the Pearl River Delta’, Journal of Current Chinese Affairs 42(4), 2013. Together, the six programs are referred to as “five insurances and one fund” (五险一金). The Housing Fund is technically separate from China’s five Social Insurance programs (the Pension System, Medical Insurance, Unemployment Insurance, Work-Related Injury Insurance and Maternity Insurance), administered by a different state ministry, but it functions similarly: contributions are paid jointly by workers and their employers. “Contributors to the housing fund can apply for preferential rate mortgages, cover housing repair and maintenance costs and get rent subsidies. If unused, the fund can be redeemed upon retirement, and as such it actually functions more as a secondary pension.” (From China Labor Bulletin’s overview of the system). Worked in Great Wall Motor. Got terminated illegally when I tried to push them to follow Chinese labour law. No chance in the sump of corruption of Baoding.